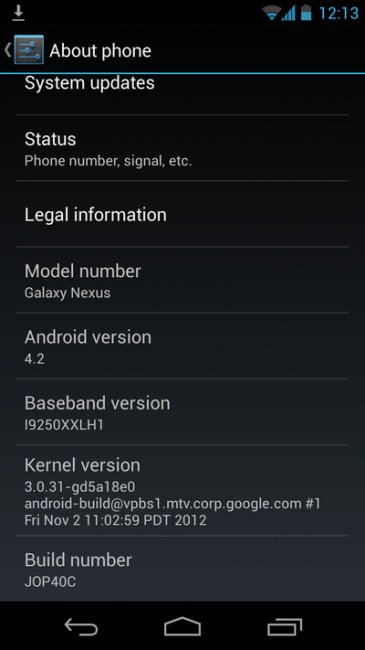 If you own the “takju” GSM Galaxy Nexus or a Nexus 7, it’s time to update to Android 4.2. The files are already available from Google (even pushing out to some devices), so depending on the state of your device, your instructions for updating may be different. Let’s get to it! *In order to use these files, you have to currently be on JZO54K. 1. Download the file to your internal storage. 2. Reboot into your custom recovery. 3. Choose “install zip from sd card” and select the update file you downloaded above. 4. Tell it to flash it, watch it happen, and then enjoy 4.2. *You could also try going into Settings>Apps>All> and then finding Google Services Framework. If you Force Stop and then Clear Data on that, sometimes that will trigger the update into being pushed to your device.